Japan is an advanced country with state of the art technology and architecture. Artificial Islands will become more and more common in Asia in the future due to population density and hardship of acquiring land for developing new infrastructure. Japan has many man-made islands. Some of the famous ones are Odaiba in Tokyo and Fukuoka Harbor. There are some islands which were made solely to build new airports. These island airports stand as an epitome of Japanese infrastructure and futuristic passion. Kobe airport was built to reduce the congestion of Osaka/Kansai International Airport. This airport primarily handles domestic flights with a few international cargo flights too. It is situated on a manmade island in the sea near downtown of Kobe. The ‘Skymark Airlines’ run a lot of services from this airport. Kansai International Airport is located in Osaka Bay and is the hub for major airlines of Japan including ANA, Japan Airlines and others. It is one of the biggest and busiest airports in the Asia-Pacific region. This airport is well-connected to the mainland by a sky-bridge and it runs many ferries and rail services to other major airports such as Kobe Airport. The Island Airport`s total size is 10.5 sq kms and plans to expand it to 13 sq. kms are underway. 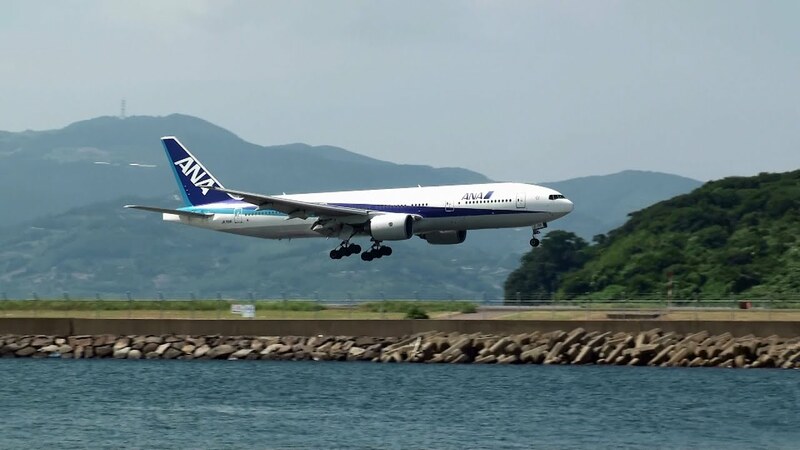 Nagasaki Airport is located in Omura city, Nagasaki prefecture, and is a strategic location not only for the passenger and cargo flights, but also for the Japanese Self-defense forces to guard the Maritime zones of Japan in the South. This airport has a lot less traffic when compared to other mentioned airports. This airport is built 3 km away from the mainland, in Kitakyushu, Fukuoka region. It is a second class airport but it is one of the few Japanese airports that operates 24 hours a day. It is a hub for some Korean airlines and many charter flights are being operated from this airport. The airline ‘Star Flyer’ has its headquarters in this airport. ・49 Things to Do in Odaiba, the Entertainment Island of Tokyo, in 2018! CREMIA: The Famous Soft-Serve Ice Cream You Have to Try in Japan!